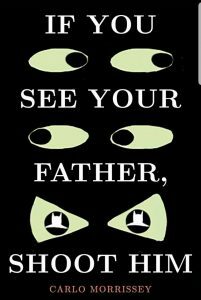 “If You See Your Father, Shoot Him” is Carlo’s second novel. Tackling love, loyalty and loss with aplomb, this unique piece of funny literary fiction about family life filters dead-serious subjects through a zany cast of characters and a madcap delivery that’s sure to make you smile. Signed copies will be available for purchase along with his previous young adult novel “I Am the Moon”. For more information call 508-949-6232. Error: Error validating access token: Session has expired on Monday, 08-Apr-19 19:39:38 PDT. The current time is Wednesday, 24-Apr-19 09:35:18 PDT.